On October 20th, Martin Szomolanyi and I hooked up with the intentions of fishing a local bass tournament on Lake Erie. 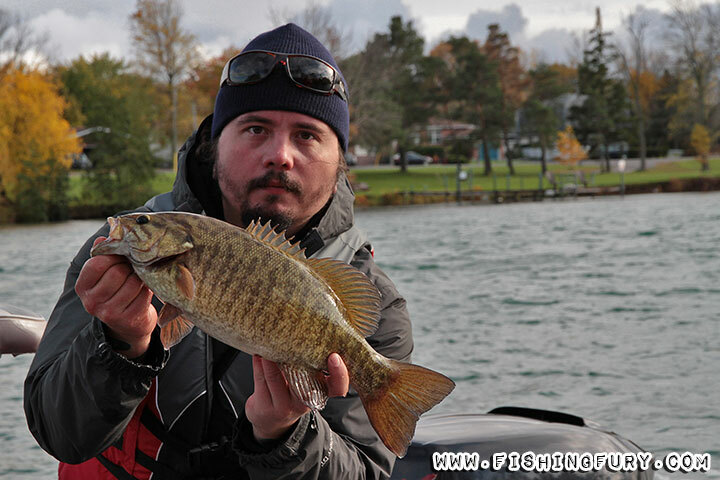 Unfortunately due to weather concerns the event was cancelled, but we were already up and ready to go so we decided to take cover from the wind and fish the Niagara River instead. We met at the Chippewa River where Mark Hordyk, Chris Jarrett, and Landon Wieske showed up to join us. They also intended on fishing the Erie tournament and since that was cancelled we decided to throw our own impromptu event with a 20 dollar buy-in and a 100 dollar prize to the biggest bass of the day. I didn’t win the prize, which would have been twice as sweet as the $100 bill was mine. 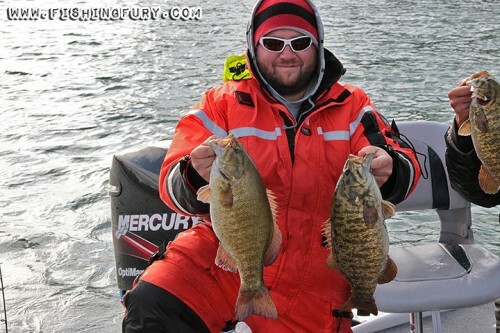 The winner of the day was Mark Hordyk with a beautiful 4-pounder beating out a big pack of 3-pounders. Pretty damn good day of fishing considering the horrible weather we battled. The only thing I regret is not getting the photo of Mark with his 100 dollar bill and winning fish! Here’s Mark Hordyk with his winning catch! More photos after the break. After weeks of fishing in the rain and cold, and several days of warming our fingers inside preparing all these images, we’re proud to bring you this year’s fall fishing gallery. 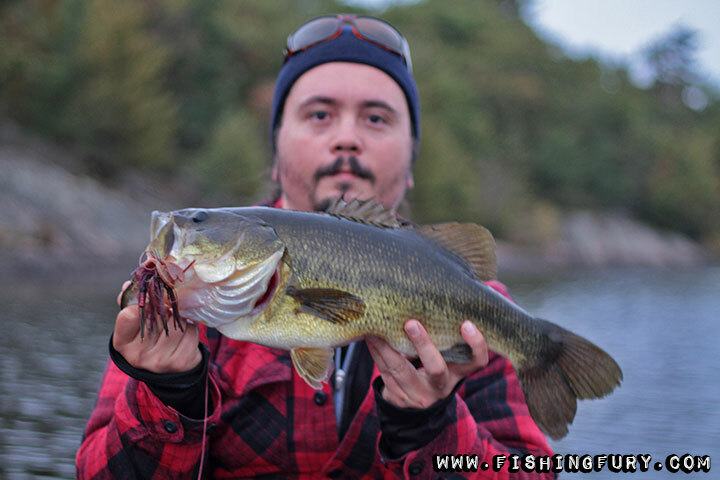 This gallery is important for several reasons, one of which being Clive’s return to Ontario and the re-activation of our furious fishing powers, and secondly because of my new personal best largemouth bass! That’s right, this big bass below measured 23″ in length, 5 pounds on the scale, and was caught on a football jig sent to me by the hardworking guys at Militant Outdoors. 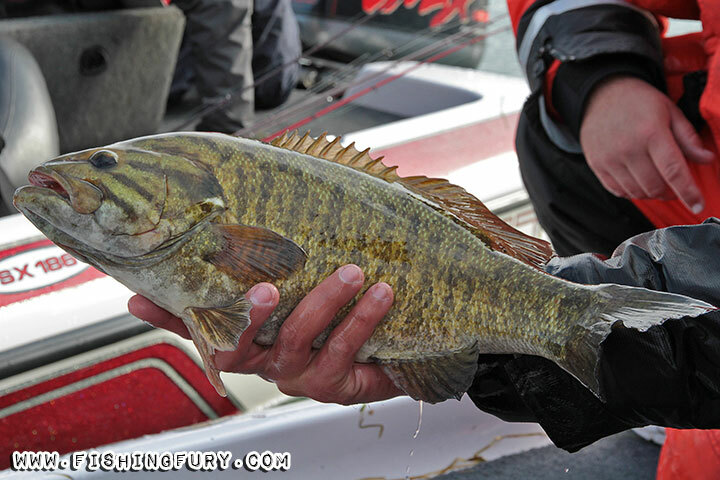 I also caught several large bass on my Big Smallie Tackle hair jigs, so look forward to a review of those very soon! 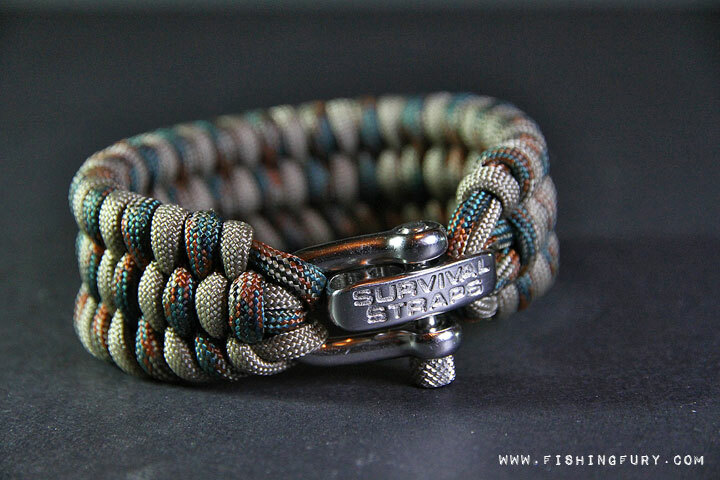 Survival Straps are customizable fashion accessories with a serious function. Made from several feet of braided military spec paracord that can be deployed at a moments notice providing you with an invaluable tool. But just because something looks nice doesn’t mean that it’s fashionable, and just because something is useful doesn’t make it functional. So where do Survival Strap land between fashion and function? Keep reading to find out. Well if you didn’t, just launch your boat at your favourite “very public” lake and start fishing the shorelines for bass. You will quickly find out that most waterfront owners, not all, but most, will be quick to explain to you that you’re trespassing. And guaranteed, they won’t saunter down to the lake edge sipping a mug of morning coffee dressed in their pajamas and kindly ask you to get away from their little piece of paradise. Rather, expect an explosion of insane lunacy delivered by a rake-wielding, stone-throwing nutcase foaming at the mouth whilst shouting a tirade filled with the most updated versions of profanity and threats available! 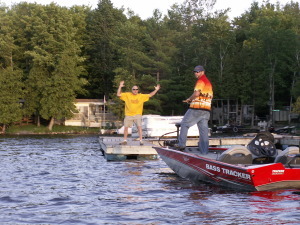 This is the form of abuse and harassment anglers are enduring most outings. It is illegal and demeans your rights as a tax-paying citizen of this country.